Seems like crackle is out of trend! 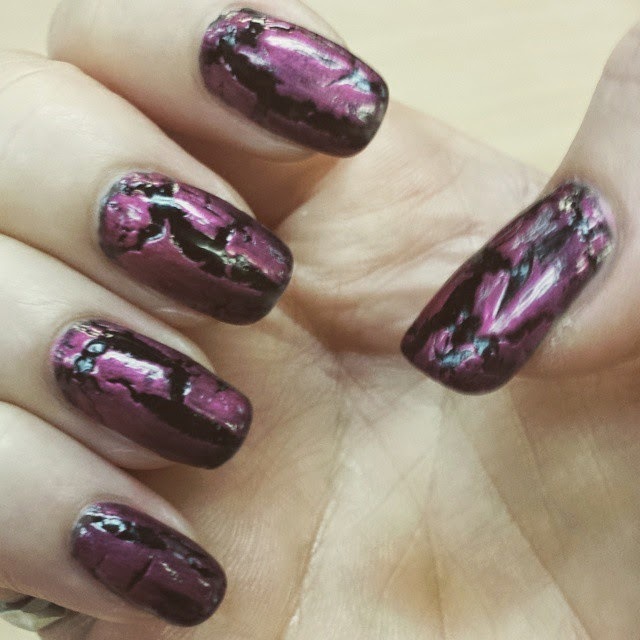 Here is a simple burgundy crackle over a black polish. The cracked polish was actually a red OPI, but it showed up as a burgundy over the black color, which I really liked!